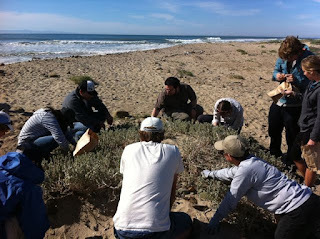 Sunday November 13 - A group from the Surfrider Ventura's Ocean Friendly Gardens team gathered at Surfers' Point. The group was led by David Hubbard, of Coastal Restoration Consultants. Dave has offered his restoration and native plant experience to guide our efforts to restore the bioswale and dunes at Surfers' Point. After a lesson in identifying the native plants, the group spent an hour removing weeds from the bioswale. 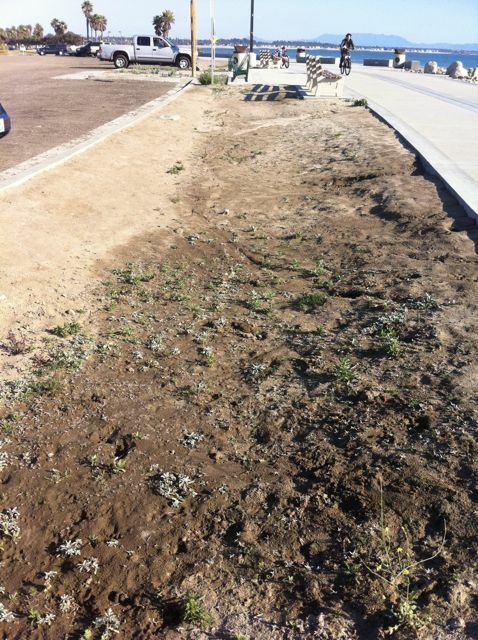 Future work on this area will include developing signage and pathways to help direct foot traffic and allow the native plants to become established. 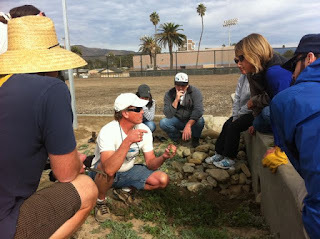 The group then learned about propagation and seed collection. 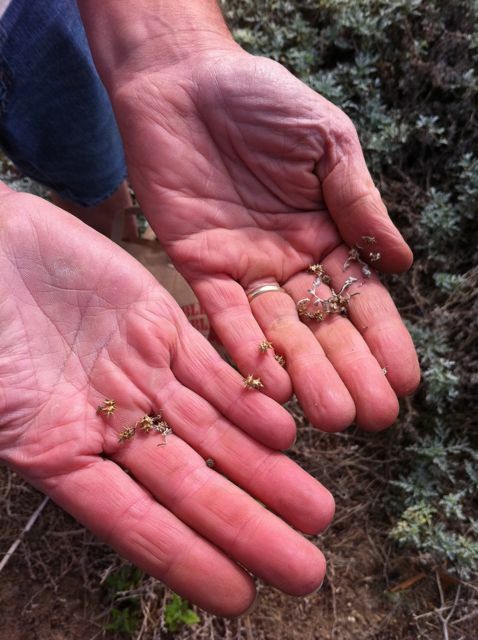 They collected a variety of seeds from the remnant dunes, and will be trying to grow seedlings at home for planting later this season. 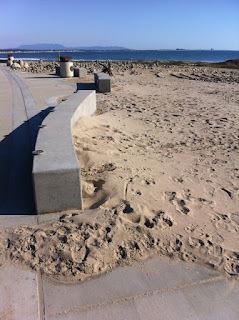 You can see from the photo below that the recent winds moved a lot of sand around. This spring we will be working to help build and vegetate dunes - once established the dunes will trap blowing sand and further enhance the area. If you're interested in helping out with our ongoing efforts, please contact Cynthia at vcsrf.oceanfriendlygardens@gmail.com and she'll add you to the list for future workday announcements.